Summary: In this blog, I have explained why Outlook error code 0x800ccc13 is occured in Windows 10and its solution. Also, you will get a perfect troubleshoot for Outlook send/receive error 0x800ccc13 using SFC command. On upgrading to Windows 10, it has been observed that many Outlook users have surfaced the issue of not being able to send out emails. Such issues are generally encountered when the server settings applied to the email are not correctly configured or so. However, in this condition, despite the email server settings being accurate, Microsoft surfaced issues in sending out emails through Outlook. Even the test message shows success. The Problem: When the server and mail settings are perfectly fine then what exactly is the problem and how will Outlook be able to send emails again? IMPORTANT: The problem looks common for a particular set of account configurations only however, the actual perpetrator remains unknown. The occurrence can take place with any given Outlook version. If you want to confirm it, then you have solution. Make sure that you have Win 10 Enterprise & Pro version 1511 and above. 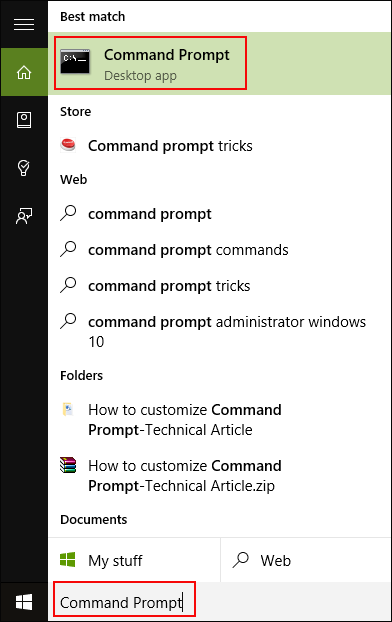 If you have Win Home, then you should have Version 10 (Build 10240) or above. 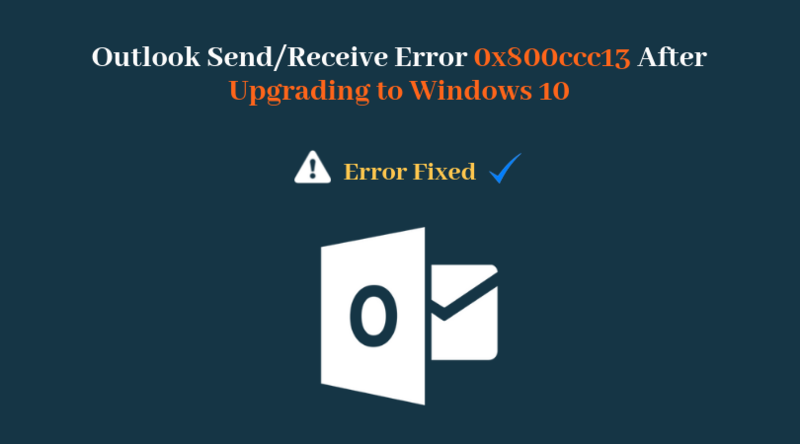 Still, if you are unable to to resolve Outlook error 0x800ccc13 and install update, then please read the below solution for sending reported error 0x800ccc13 cannot connect to the network in Outlook 2013. In order to recover from the email sending issue, one can try running the System File Checker/Windows Resource Checker tool or the SFC. The specialty of this Microsoft provided program is that, it thoroughly scans and validates the integrity of all secure system files. It then replaces the incorrect versions with the correct ones. Use Windows SFC (System File Checker) command to repair/ fix the corrupted files. Let’s see how to run SFC command. NOTE: On not seeing the option, you are advised to choose 'Windows PowerShell (Admin)' instead. Now wait until the scanning completes. The process might not take any longer than maximum 20 minutes for a regular hard disk. However, if a fast SSD is concerned, it might take even lesser duration. Using sfc /scannow puts back some of the misplaced critical files to its appropriate location due to upgrade to Windows 10. This will resolve the issue. However, if you are still unable to send out emails from your Outlook/are unable to resolve the issue, kindly leave a comment below. We will get back to you immediately with a suitable solution. Windows 10 is the latest upgrade to the popular Microsoft OS. Even, the latest machines are available now preconfigured with the Windows 10 OS. However, option to avail the services of this latest Windows version is provided to the previous users of the OS too. Users can either completely install or configure this OS version to their machine or, they can upgrade to it on receiving the update on their machine. The easy availability of this Windows edition has made it available to everyone around. However, the growing use of the OS has also resulted in bringing forward some of its common bugs and compatibility issues with other applications and configurations. One of the most commonly surfaced problems is that of the Outlook. The post elaborates about the issue in detail, which also explains a feasible solution for the same. Applying the workaround may possibly help you resolve the problem and overcome the consequences being encountered.